The current impassioned debate about senate voting reform is a good debate to have. Voting systems certainly do affect the outcomes of elections and the complexion of future parliaments, but not always in easily predictable ways. A lot of the heat in the argument over senate voting reform is being generated by political players who see short term advantage for themselves in the status quo but that is the last place we should look for guidance. Independent commentators such as Antony Green (ABC) and Ben Rau (The Tally Room) provide much more reliable analysis and if you are interested you should look them up online. Speculating about which parties will benefit most from reform is not only highly unreliable, it is really asking the wrong question. The questions we should be asking ourselves are questions of principle. To evaluate the current system as against the proposed reforms we need to ask two questions. First, which system gives voters better control over where their preferences are allocated? Second, which system is most likely to lead to an outcome where Senators get elected as near as possible to the proportions of votes that they attract? When we ask these two questions we quickly see how the current system is broken. The Senate attracts a huge number of candidates, (110 last time), so many that for the vast majority of voters it is simply not viable to number every box below the line. The result is that most people choose to vote for a party above the line. Under the present system you can only vote for one party above the line and when you do, you lose all control of where that party directs their Senate preferences. It is fundamentally abhorrent to me that individual voter’s preferences are being controlled by party officials, and traded as between them in dodgy pre-election deals. The current system has encouraged the registration of fly-by-night micro-parties that exist only for the purpose of gaming the preferences. There are some genuine micro-parties, and you can pick these ones, like the Pirate Party, because their preference flows actually reflect their stated values. Sadly many others simply register to grab an attractive sounding party name so they can play games with voter’s preferences. An investigation by Crikey in 2013 discovered a whole range of micro parties running for the Senate were actually run by a small group of people who controlled a preference swapping scheme that ran across numerous pop-up parties. Worse still many parties that voters would expect to be on the left of politics passed preferences to the likes of Pauline Hanson, Australia First and Shooters and Fishers. The system is badly broken, it is being gamed and it is punishing genuine smaller parties who would rather do politics more honestly. The proposed reforms would hand control over preferences back to voters by allowing you (not the faceless party officials) to allocate your preferences to parties and groups in your order of preference by numbering 1-6 above the line. That’s the first principle dealt with: the voter should control their own preferences. Now to proportionality. Eliminating preference gaming will of itself lead to a more proportional outcome. Parties will need to compete openly for their share of the primary vote and for the preferences of voters. Candidates are elected by attaining what is known as a ‘quota’ which is a share of primary (number 1 votes) and preferences needed to secure one out of six seats , a quota is about one seventh of the total available votes(14.3%) (In a double dissolution twice as many senators are elected so a quota is half as big 7.7%). The reforms will end the current madness where a candidate can be elected with less than one half of a percent of the vote due to preference gaming. So on arguments of principle the proposed reforms pass the two-fold test. I’m not saying they are perfect, but reform is difficult and we need to fix the worst abuses first. 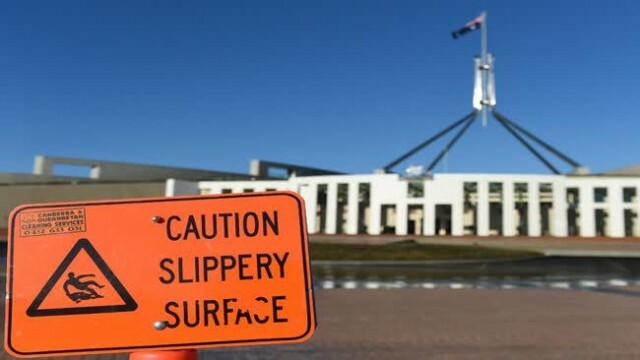 The remaining clamour in social media has been largely speculation about who might benefit most under a reformed system, whether a double dissolution election might follow Senate reform and whether the government is proposing to push workplace reforms. With all due respect, a decision about our voting system should be made on principle, not on who thinks they will gain or lose the most or on speculation about the next election. These are all important issues but they should not cloud voting reform. As to the argument that the reforms will make it impossible for new minor parties to emerge, that is just not true. The NSW Upper House currently uses much the same system as is being proposed federally and that has not stopped cross benchers having the balance of power between the major parties, and it did not stop the newly emerging Animal Justice Party from securing a seat in the last state election. Genuine new parties that have a real constituency will have to do what all established parties have done in history, and that is work hard, build their base and grow their votes. In fact genuine minor parties will be better off if the bogus preference scamming outfits fall away because then it would be a smaller race between genuine candidates, and they will not be dragged into a murky world of preference scams. There are many useful reforms needed to make our voting system fairer, the lower house system is far more punishing of minor parties than the Senate system ever has been, but before we can have a sensible debate we need to put aside our partisan interests and engage in a principled debate. I will be glad to see the business model of the preference scammers put to rest so we can get on with building more genuine politics. This article was first published in the Nimbin GoodTimes, March, 2016.